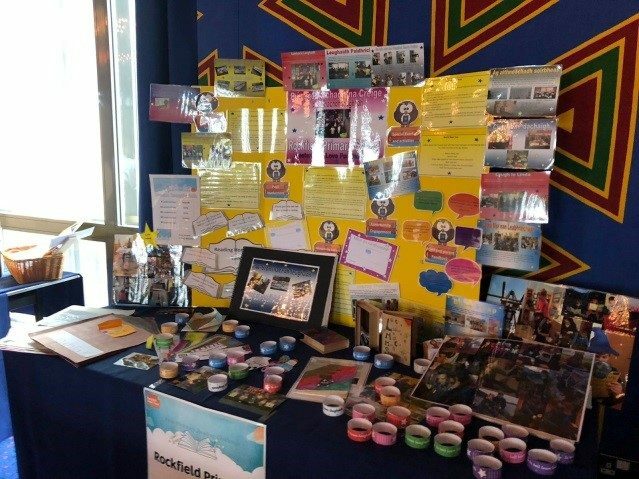 Rachael Deans said “It was wonderful to be recognised for our yearlong hard work and to be part of this celebration event. 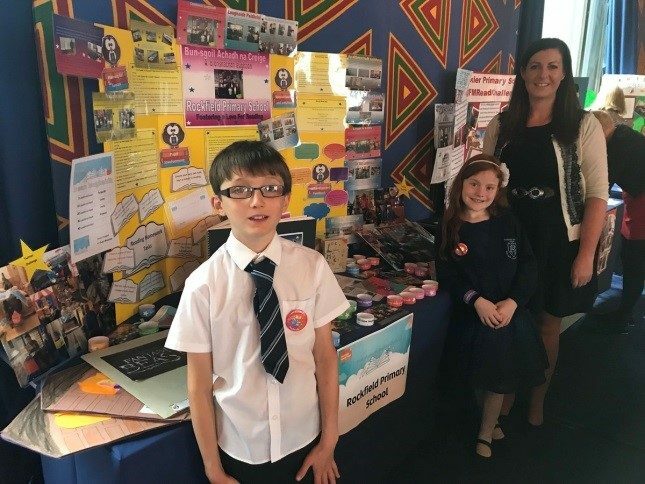 Over 1000 schools took part, but only 20 were invited to the showcase so it was a huge honour for us.” The pupils even presented Nicola Sturgeon with a Gaelic ‘I love reading’ bracelet which she wore and thanked them during her speech. 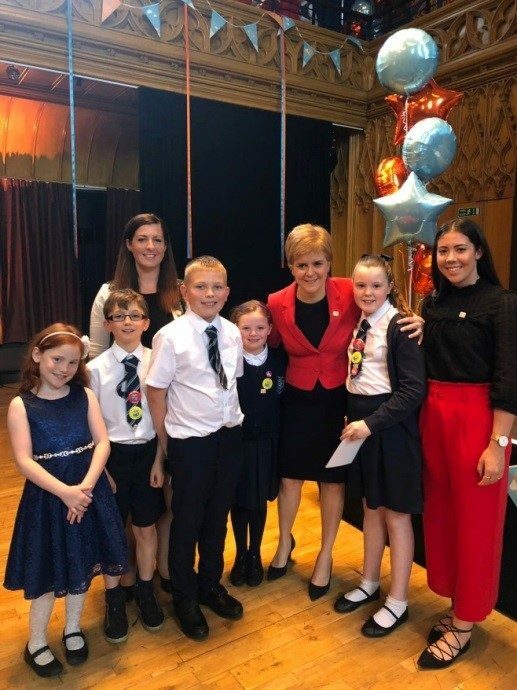 Principal Teacher of Gaelic Rachael Deans, Gaelic Teacher Keira Smith and P4-7G pupils being congratulated by Nicola Sturgeon. 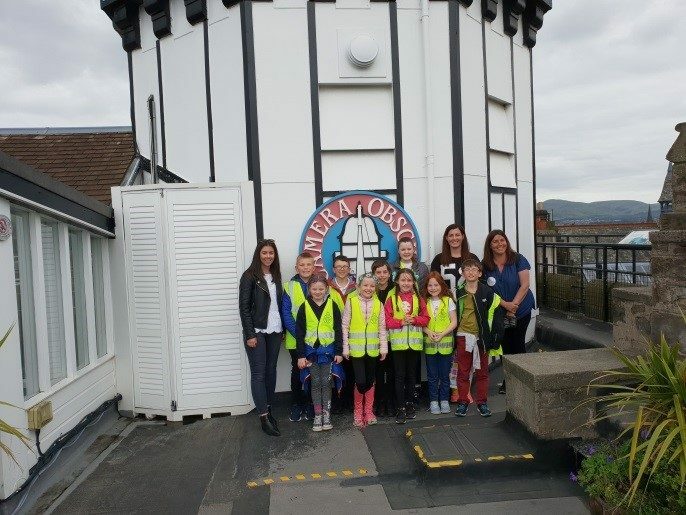 Throughout the year the Gaelic classes have been participating in The First Minister’s Reading Challenge in a number of ways to help foster a love for reading for enjoyment. 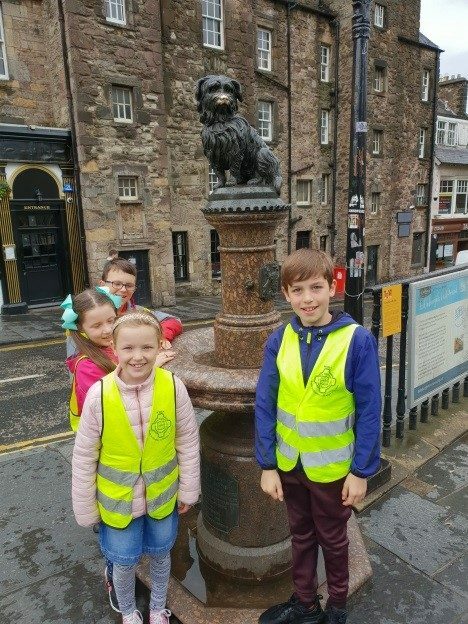 In recognition of their hard work 10 pupils from P4-7G were given the amazing opportunity to spend 2 fun filled days in Edinburgh to reward their reading endeavours throughout the year. 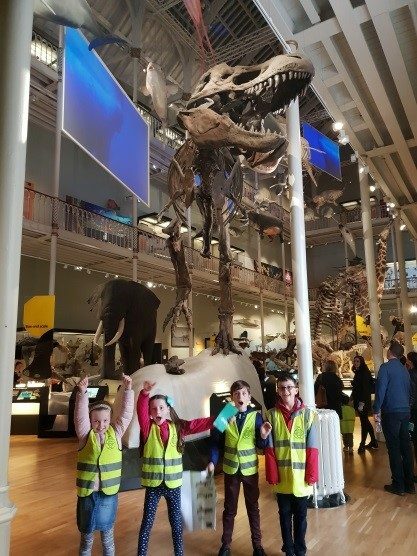 The group visited the new exhibition ‘Growing up with Books’ at The Museum of Childhood , 2 Harry Potter Shops, Camera Obscura – World of Illusions and even saw a dinosaur at The National Museum of Scotland. They also had much ‘spòrs’ at Pizza Hut and Nandos using the free ‘ice’ machine!